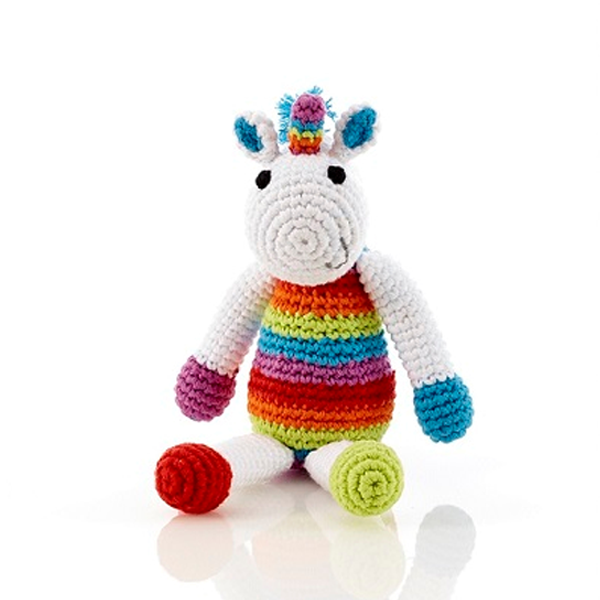 This gorgeous unicorn baby rattle has a rainbow stripe body and horn and an adorable face. 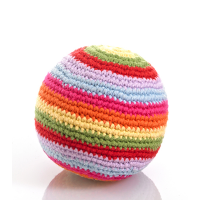 Crocheted by hand from cotton, it has a little bell inside which makes a gentle tinkling sound when shaken. 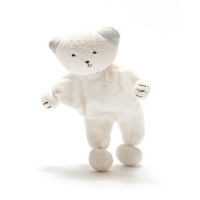 Handmade and fair trade, it is suitable from birth and machine washable. 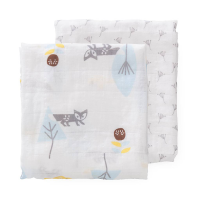 Machine washable at 40℃, air dry. Approximate size: height 19cm, width 10cm.